We provide a variety of services including office and industrial ergonomic assessments, job demand analysis, and design reviews. Find out more about EWI Works. We are a group of professionals using our knowledge to provide you with innovative solutions. Please sign me up for the EWI Works newsletter. 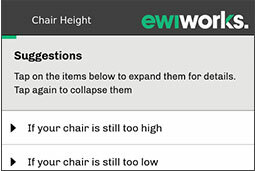 Expert ergonomic advice at your fingertips! 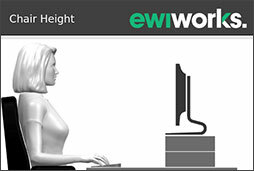 We are excited to offer our Office Ergonomics Workstation adjustment app for free!